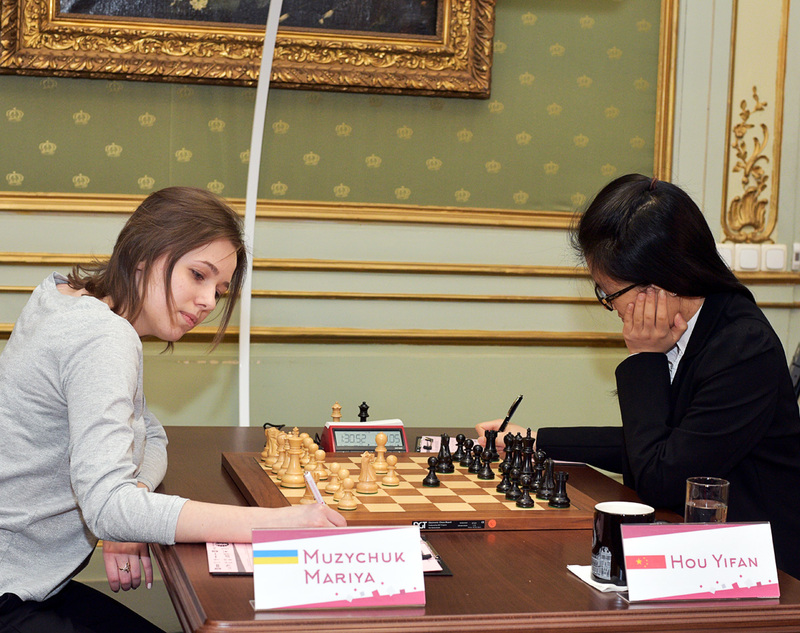 On March 2nd, 2016 the first game of Women’s World Chess Championship Match has started. Mayor of Lviv Andriy Sadovyi and one of the most promissing young players of Ukraine 6-year-old Kalyna Furmanova made the first move, e2-e4, with the white pieces. 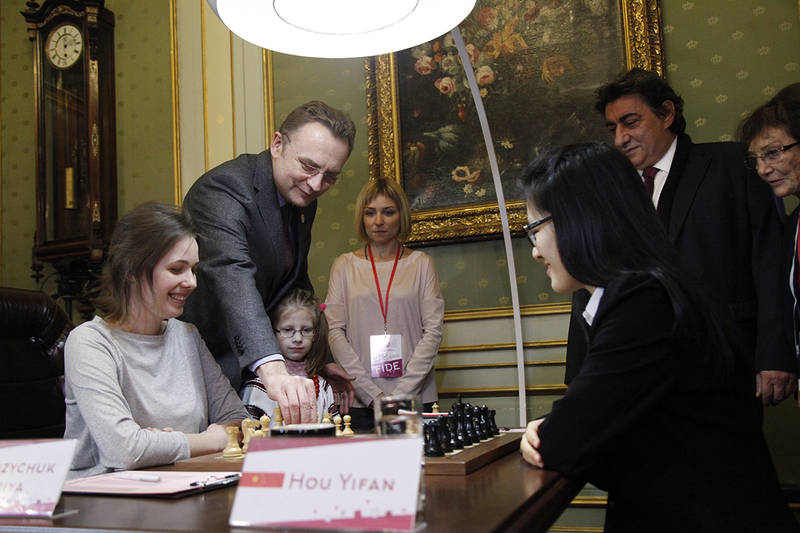 ‘The Women’s World Chess Championship Match has begun – this year chess queen will be chosen here in Lviv. I’d like to thank the organizers for the honour to make the first move. I believe everyone will enjoy the games. We want chess to become the dominant sport in our city, and in Ukraine. It’s a big responsibility to have this Match here and today is a very importnat day in the history of our city. There were no chess events of this level in Ukraine. 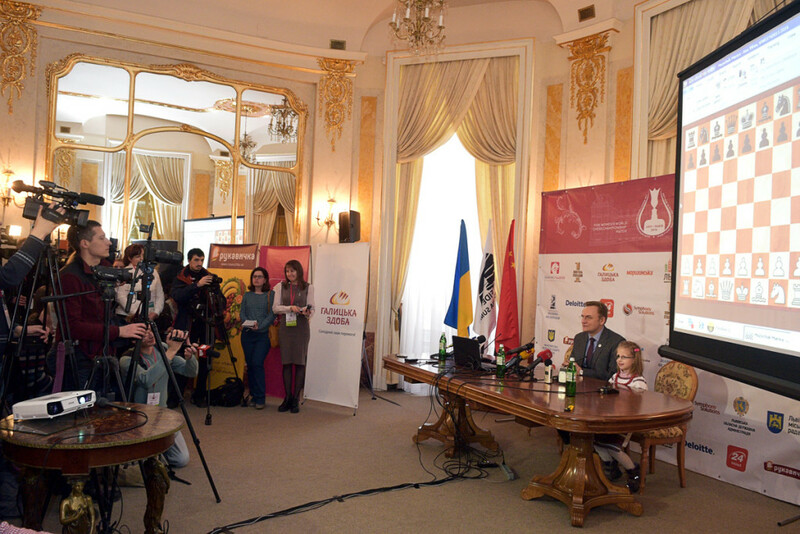 I think this is a good start for Lviv and we hope to host other chess tournaments in the future, especially now, when every school of the city has chess lessons’, said Lviv Mayor Andriy Sadovyi. For the first time in the history of Ukraine Lviv hosts the most remarkable chess event – FIDE Women’s World Chess Championship Match. The World Champion Mariya Muzychuk (Ukraine) will ‘fight’ for golden chess crown against the challenger, Hou Yifan (China) on March 1-18, 2016.